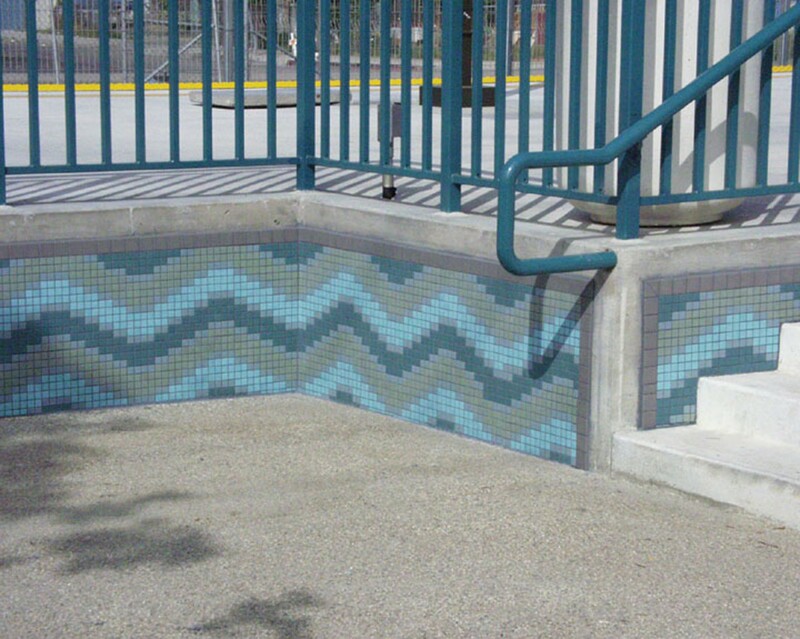 An arroyo design incorporating mosaic tile mural illustrates movement and water. 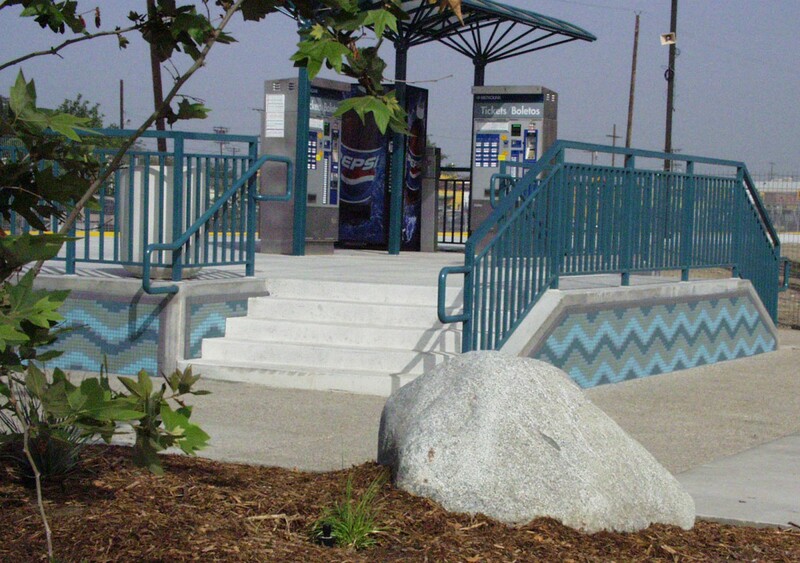 The MetroLink site features landscape and hardscape, employing serpentine walkways, boulders and arroyo native plantings. 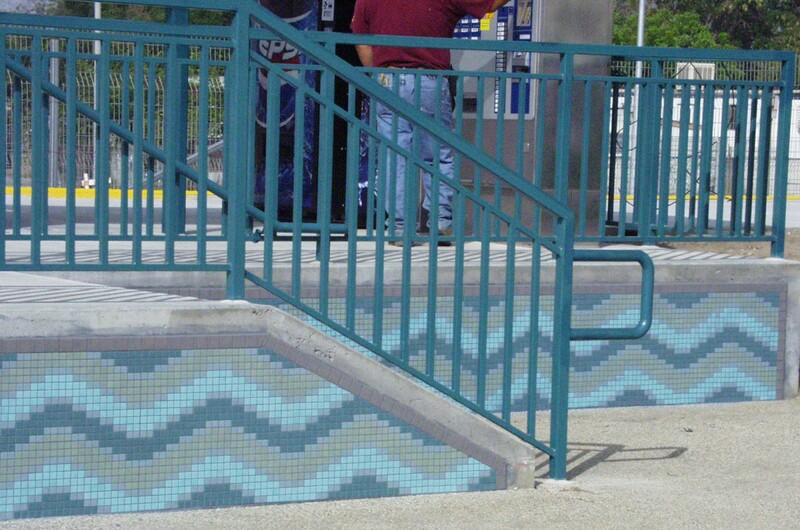 Composite detail views of the Sun Valley Metrolink Station installation.